I have a 7.5 month old red tri Australian Shepherd, as of December 2016 he began showing aggression towards small children. ex - barking, lunging, and nipping at them. Can anyone give me some advice to put and end to this? Without seeing the behaviour, and assuming he is on leash when it happens, I think it might just be puppy play. 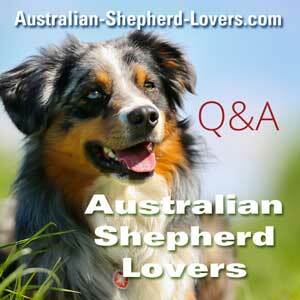 They usually adore kids but they are very excitable and, being herding dogs, they do nip! If the behaviour is handled properly he will likely grow out of it, but puppy obedience classes are the best idea for Aussies.